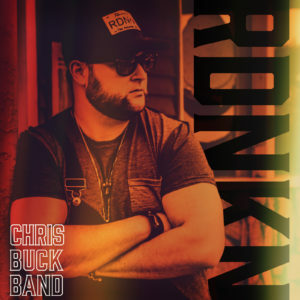 September 19, 2018 (Toronto, ON) – Following the success of his 2017 smash ‘That’s When You Know’, Chris Buck Band is back with his newest country anthem – RDNKN, out to country radio now and available to stream everywhere October 5th. Emphasizing that laidback, easy going lifestyle, the music video for RDNKN is available today exclusively on Complete Country. RDNKN was born out of a partnership Chris Buck started with a close friend on a lifestyle brand merchandise company. Having sold thousands of their signature hats, adorned with RDNKN licence plates, across North America, Buck wanted to write a song that embodied the country lifestyle of having fun and not taking life too seriously. The new music video depicts just that – enjoying the lazy days of summer with an afternoon on the lake fishing and drinking followed by a raging backyard barbeque and bonfire jam. Breaking onto the scene in 2017 with their debut, self-titled album, Chris Buck Band quickly became one of the fastest rising Canadian country acts with the release of their Billboard Top 20 hit ‘That’s When You Know’ featuring country darling Kira Isabella. The track skyrocketed with over 3.6 million streams and over 100 Spotify playlist adds in addition to its CCMA Award nomination for ‘Video of the Year’. 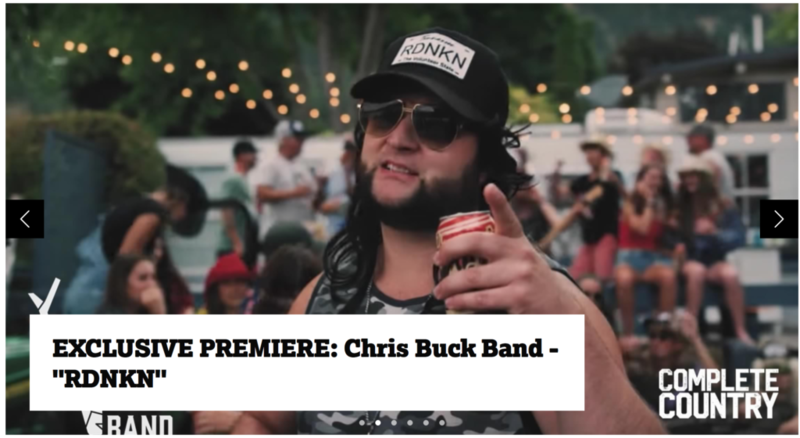 Since then, Chris Buck Band has performed across the country on some of Canada’s biggest festival stages including Boots & Hearts, Rockin’ River Music Fest, The Calgary Stampede and Manitoulin Countryfest.